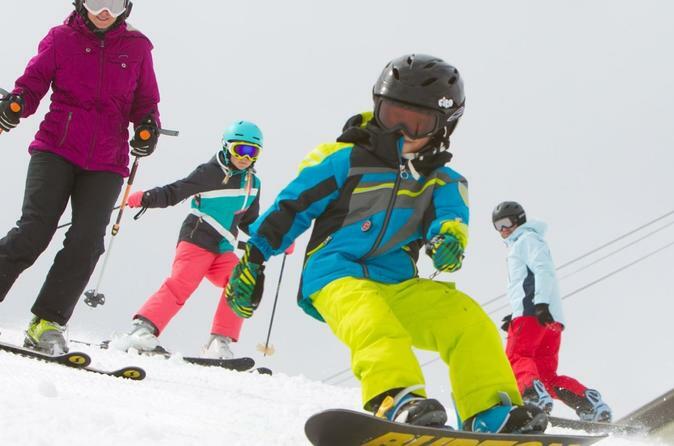 The Junior Snowboard Package includes a K2 or Burton Snowboard with straps, K2 boots with the Boa system, and bindings and is the best all-mountain board available. Either board is perfect for beginners and advanced riders alike. You are permitted to pick up your gear the night before you ride, after 4pm, so you can enjoy a full day on the slopes. You have until 10:00 am the day after your final rental day to return the gear. You may pick up where reserved and drop off at any of our shops with no transfer fee. Although, leave some extra time for processing at a different shop.